A joint chamber of commerce (BCCT/ AMCHAM/ AUSTCHAM/ SATCC) Eastern Seaboard Networking Evening will take place on Friday, Jan. 25 from 6.30 – 8.00 p.m. at the Garden Lounge of the Amari Orchid Pattaya on Pattaya Beach Road. A free-flow of beer and wine will be served while stocks last and will be complemented by finger snacks. Cost of admission is THB 350 per person for members of the respective chambers and THB 1,100 for non-members. For more information and bookings, go to http://members.bccthai .com. The 2013 PTT Pattaya Open, WTA tennis tournament will be held at the Dusit Thani Hotel, Pattaya from 27 January – 3 February. Star players taking part this year include Ana Ivanovic of Serbia, Maria Kirilenko of Russia and Sabine Lisicki of Germany. Main draw matches will commence on 28 January with play starting from 15.00 daily, except the semi-finals on Saturday 02 February and the finals on Sunday 03 February, when play begins at 16.00. Tickets for the tournament are on sale at 300, 500, 800 and 1,200 baht. For more information and tickets, please contact Pentangle Promotions Co., Ltd at Tel: 02-3113414/5 website www.pentanglepromotions.com or at Thaiticketmajor on 02-262-3456, website www.thaiticket major.com. The annual Pattaya Bed Race will take place on Sunday, January 27 starting at 4 p.m. outside the Central Festival shopping mall on Beach Road. The course will take teams of up to 6 members each along the seafront to the finish line at Walking Street. Entertainment for spectators will also be provided by on stage acts, live music and a free prize draw. The Lighthouse Club Pattaya will be holding a charity networking evening on Friday, Feb. 1 from 6 p.m. – 8:30 p.m. at the Amari Orchid Resort on Beach Road, Pattaya. Admission costs THB 500 per person for both ladies and gentlemen and includes a free-flow of beer and wine (while stocks last) along with soft drinks and a great selection of finger food. For more information, visit the Lighthouse Club Pattaya on Facebook. The annual Burapa Bike Week will take place from Feb. 15-16 at the Silverlake Vineyard, 20km south of Pattaya. The event this year will feature a motorcycle “Ride for Peace” through Jomtien and Pattaya, a parade of classic cars, an extreme-sports competition, KR Stunt Thai Championship, a Miss Chopper pageant, booths selling motorcycle and car accessories, tattoo artists, and a paramotorcycle exhibition. Music for the enjoyment of festival goers will be provided by bands from Thailand and Scandinavia. More than 10,000 motorcycle enthusiasts are expected at this year’s event. The next Pattaya City Expats Club (PCEC) meeting will be on Sunday, Jan. 27. Everyone is warmly welcome. The speaker will be Chief Petty Officer Jesse D. Izdepski, Operations Assistant for the U.S. Defense Attaché’s Office in Bangkok. He will talk about the past, current, and future of Thai – U.S. military relations. The Club meets every Sunday morning at the Tavern by the Sea restaurant located on the north end of Beach Road (part of the Amari Orchid Resort). The program starts as usual at 10:30 a.m. with a buffet breakfast available from 9 to 11 a.m. The RLC (Rayong Ladies Circle), which operates mainly in the Ban Chang and Rayong areas, is a friendly and social group of international women. They hold a monthly coffee morning, amongst many other activities, on each second Tuesday of every month in the home of one of their members. Everyone most welcome to join! For more information, send an email to rayongladiescircle @gmail.com or visit the website at www.rayongladiescircle .com. A wine tasting experience at Amari Orchid Pattaya. Fred J. Estes Post 9876 of the Veterans of Foreign Wars of the United States of America is a social group in Pattaya that helps American Veterans and their dependants with benefit assistance related to the Veterans Administration, Social Security and service related agencies. There is no charge for our assistance. Post meetings are every second Tuesday at 1300 hrs. at the Hogsbreath Saloon at 148 78/79 Sukhumvit Rd. on Soi 46-3 (formerly Soi Batman). There are informal social gatherings every Tuesday and Wednesday from 11:30 until 14:00. For more information contact Eric Larsen, Post Commander, tel. 038-423462, email: [email protected] .com or visit the website at vfwpost9876.org. The Amari Orchid Pattaya Resort is hosting a Cabernet Sauvignon wine experience at the Garden Lounge of the hotel on Friday 25th January from 18.30-20.30 hrs. 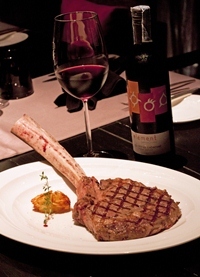 Enjoy carefully selected Cabernet Sauvignon wines from around the world matched by Chef Leonard with an ensemble of traditional, hearty delights from the various countries represented: Price 800 baht net per person includes a free-flow of wine. For reservations, contact 038 418 418. 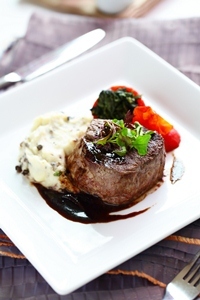 From now until end of January 2013, Flames restaurant features Wagyu beef served with sweet potato and carrot lasagna with balsamic gravy, vegetable roesti with caramelized onions, garlic and onion chutney. Prices start at just Baht 790++ (subject to 10% service charge and 7% tax). 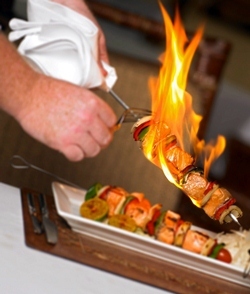 Flames restaurant is located on the beachfront of Centara Grand Mirage Beach Resort Pattaya. The restaurant opens daily from 19:00-22:30 hrs. Call to reserve at 038 301 234 ext. 4272. 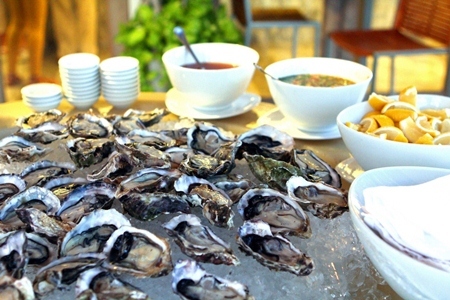 Weekend Seafood BBQ Buffet @ The Beach Club Restaurant, Pullman Pattaya Hotel G, from now until 31st March 2013. Every Friday and Saturday night from 18.30 – 22.00 enjoy a variety of main dishes in BBQ style including crab legs, rock lobster, clam chowder and French Oyster “Fine de Claire No.4” from Normandy, France. The buffet also includes a full salad bar and choice of desserts: Price only THB 988 net or THB 1,188 net with a half bottle of wine. The Beach Club Restaurant opens daily from 06.00 am – 10.00 pm. For reservations/information, contact 038 411 940-8 Ext. 3110, or email [email protected] pattayahotel.com. The Cascade Restaurant features globally-inspired cuisine in its special theme buffets and new a la carte menu. Enjoy Thai, Asian and international specialties in a relaxed setting next to the open Atrium, with its lush gardens and waterfall. Cascade Restaurant offers a sumptuous buffet spread for breakfast and a la carte menu for lunch and dinner where diners can sample the monthly culinary highlights. The Cascade is located near the Main Lobby of Dusit Thani Pattaya. Open daily from 6 a.m. – 1 a.m. For reservations call 038 425 611-7 ext. 2153. 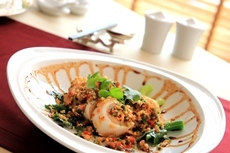 The Peak offers modern Chinese cuisine complemented by a panoramic view of Pattaya Bay. The Peak’s kitchen turns out a stellar selection of Chinese dishes including hot & cold appetizers. Daily dim sum lunch is also available. The Peak is also the venue for the Exclusive Breakfast which caters to guests of the Dusit Club. 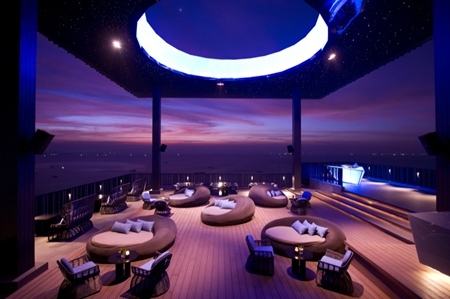 The Peak seats 80 and is located at the Dusit Thani Pattaya Resort, next to the Dolphin Roundabout in North Pattaya. Open daily from 11:30 a.m. to 2:30 p.m. and 6:30 p.m. to 10:00 p.m. For reservations and more information please call 038 425 611 to 7, ext. 2276. Cuttlefish creations at The Peak. Australia Day BBQ at Diceys Pattaya. 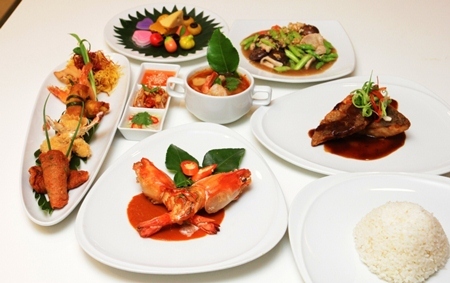 Thai Dinner Buffet at Café G, Holiday Inn Pattaya: Enjoy the taste of traditional Thai cuisine featuring som tam, grilled chicken, crispy pork, fresh salad bar, and Thai desserts selection. Buffet dinner is available nightly from Monday-Friday from 6 p.m. – 10 p.m. at Café G on the 4th floor of the Holiday Inn Pattaya. Price per person is THB 450 net including soft drinks. For groups over 10 people please inquire for group rate. All kids under 12 eat free. For more information, call 038 725 555 or check the website: www. holidayinn.com/pattaya. Dynamic, stylish & seriously cool at fabulous Sunday Brunch @ Mantra Restaurant and Bar, Pattaya. Experience the hottest brunch concept in Pattaya. It’s the perfect timing, from 11:00 hrs to 15:00 hrs, for a seriously cool culinary journey, an innovative & stylish approach to Sunday brunch 1,690+ per person. 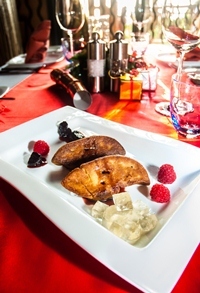 With a dazzling array of chic delicacies, this stylish and sophisticated brunch offers a fabulous selection of foods from around the world, oysters, cold cuts, prime roasts, chocolate fountain and more. Upgrade your brunch to include a wine buffet for an additional 1,150+ per person. 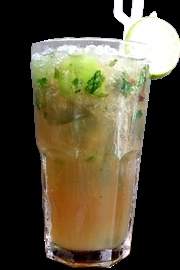 For reservations and more info call 038 429 591 or [email protected] or visit www.mantra-pattaya .com. The French Embassy in Thailand together with the World Film Festival of Bangkok and hotel dusitD2 baraquda pattaya will be hosting what is set to become the first poolside film festival in Thailand – “Pattaya French Film Festival 2013.” A wide range of French cinematic delights are to be shown at the chic and casual poolside of hotel dusitD2 baraquda pattaya every Friday and Saturday evening from 8 p.m. throughout February 2013. The opening night on Friday, 1st of February will feature a screening of “Les Triplettes de Belleville (The Triplets of Belleville).” For more information on the event, turn to page 36 of this week’s Pattaya Mail or call 085 215 5490. Foie gras creations at Acqua Italian restaurant. 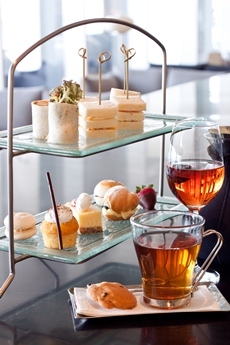 The dusitD2 baraquda is currently hosting “Romance jazz on the roof” evenings from 8 p.m. every Thursday, Friday and Saturday night until 26 January 2013. Entertainment in the form of soothing live jazz music is provided by award winning saxophonist Aht Gunlayanakupt. The Rooftop Sunset Lounge is open daily from 5 p.m. – 1 a.m. and crowns the 6th floor of the dusitD2 baraquda boutique hotel, offering some of the best views of the Pattaya skyline at dusk. For more information and reservations, call (038) 769 999.